This year, Interop, one of the max events in global networking market with over 30 years’ history, will debut in China and be held together with the 5th Cloud Connect China on September 5-7 at Shanghai World Expo Exhibition & Convention Center. Under the name of Interop China, it is to assemble the most innovative tech leaders, bring about latest technical topics and inject new vitality to Cloud Connect China. Nowadays, there are growing opportunities towards China’s cloud computing industry under the guidance of national policies such as “Made in China 2025”,”Internet+ Strategies” and it is imperative for enterprises in end user industry to set up a cloud computing system to meet their needs of transition. Thus, Interop & Cloud Connect China 2017 will be an excellent platform bringing together IT professionals, developers, infrastructure and service providers to focus on cloud computing’s development, where global speakers will assemble to deliver speeches on innovative technologies and practical solutions to thousands of CIO, CTO, tech developers and end users from industries like finance, E-commerce, manufacture, FMCG, retail, education and medicine, etc. The key topics during the event will include SDN, OpenStack, Cloud Network Integration, Strategies &Practices, Data Technology& Artificial Intelligence, Cloud Native Technology & Application, Wireless& Mobility, Enterprise Infrastructure & Practices, Internet+：Industrial Cloud, Virtualization & Data Center, Information Security and IT Leadership. 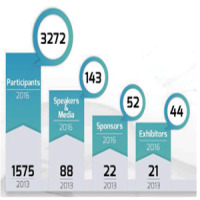 Domestic and overseas exhibitors of Interop & Cloud Connect China 2017 will have a good chance of brand exposure through showcasing the latest products, technologies and services and meet the potential clients and even win a prize from one of the specialties “Top Cloud Connect Awards” which aims to applaud companies and people that have made great contributions to China’s cloud computing industry with innovation and spirit. Moreover, the “Enterprise CIO Forum” and “Matchmaking Event” are still available this year, which are the other two specialties of Cloud Connect China, shortening the distance between exhibitors and buyers.